Final Fantasy XIV‘s latest major content update is here with the arrival of Patch 3.5. The new patch brings with it a wealth of additions including the continuation of the main scenario, new sidequests, high-end dungeons, an alliance raid and more. Main Scenario Quests: With the threat of the Warriors of Darkness vanquished, the Scions of the Seventh Dawn set their feet upon fate’s path and gaze upon distant horizons. New Alliance Raid: The hunt for Diablos continues in Dun Scaith, the latest 24-man raid and follow up to The Weeping City of Mhach. Players will venture to this island created by Mhachi sorcerers, now transformed into a haven for voidsent, with the hopes of vanquishing this powerful foe. 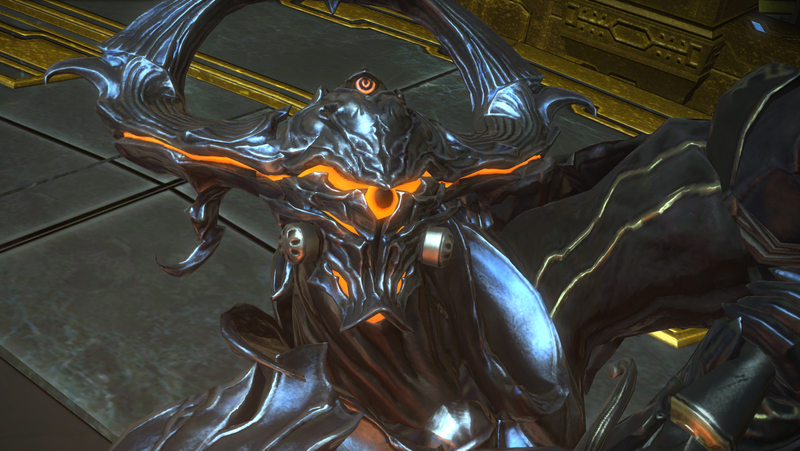 Containment Bay Z1T9: Adventurers will be able to confront Zurvan, the Demon—the final pillar of the Warring Triad—in both normal and extreme difficulties. New High-Level Dungeons: Two new dungeons have been added for adventurers to challenge. Heroes can scale the towering Baelsar’s Wall that separates the Garlean-controlled Ala Mhigo from the rest of Eorzea, and also revisit the sacred grounds of the dragons in Sohm Al (Hard), now in disarray following the defeat of Nidhogg. New Side Quests: Hildibrand—agent of enquiry, inspector extraordinaire—returns for further adventures as he clashes with the Grand Sers to rescue the young Gigi. Additionally, new mysteries confront the students of Saint Endalim’s Scholasticate—players must work with Inspector Briardien to uncover the culprit behind chaos that plagues the student body. Garo Collaboration and PvP Updates: New PvP gear and mounts, modeled after character designs from the hit Japanese TV series Garo, will make their debut. Furthermore, new changes to PvP gameplay will allow players to duel opponents with synced item levels, as well as participate in the massive Frontline battles without being restricted to their Grand Company’s allegiance. Party Finder Updates: Adventurers will now be able to join forces with adventurers from other Worlds to take down the foes of Eorzea® using the expanded Party Finder. Additionally, the system will allow players to create parties which their friends can join using a special password. Egi Glamours: Through completion of a new quest, summoners will now be able to change the appearance of their egi through a special text command. This initial update includes Emerald, Topaz, and Ruby Carbuncle models as glamour options, with more scheduled for future patches. Additionally, players can enjoy numerous updates to housing – including new housing exteriors, additions to the aquarium, and a number of new paintings to add that special touch to any room. Finally, new hairstyles, minions, emotes, and mounts will add even more to the ever-growing realm of Eorzea. Fore more on Patch 3.5, you can check out the full patch notes release here.